Properties in Vallonnet Ski Lift average 4.5 out of 5 stars. Property 1: Chalet Clementine offers skiing luxury in Oz en Oisans part of Alpe d'Huez area. Luxury chalet SKI-IN / SKI-OUT. Free wifi, sauna and beautiful view !!! 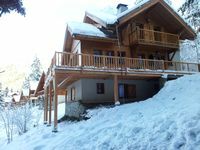 Property 10: Luxury chalet SKI-IN / SKI-OUT. Free wifi, sauna and beautiful view !!! Chalet at the foot of the slopes with mountain view. Property 14: Chalet at the foot of the slopes with mountain view. Property 22: Luxurious Chalet for 14, completely renovated with Jacuzzi. Catered available. Comfortable well located 5 bed Ski Chalet -150 metres from the ski-station! Property 30: Comfortable well located 5 bed Ski Chalet -150 metres from the ski-station! Property 49: Chalet Chamrousse 1750 Roche Beranger, (Isere) independent, quiet, spacious. The place is just great! 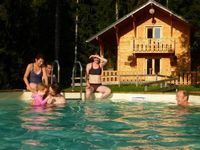 The surrounding is fabulous (well, it is the Alps), the chalet is very well-equipped, cozy and welcoming. The owners were nice and welcoming as well. Highly recommended!